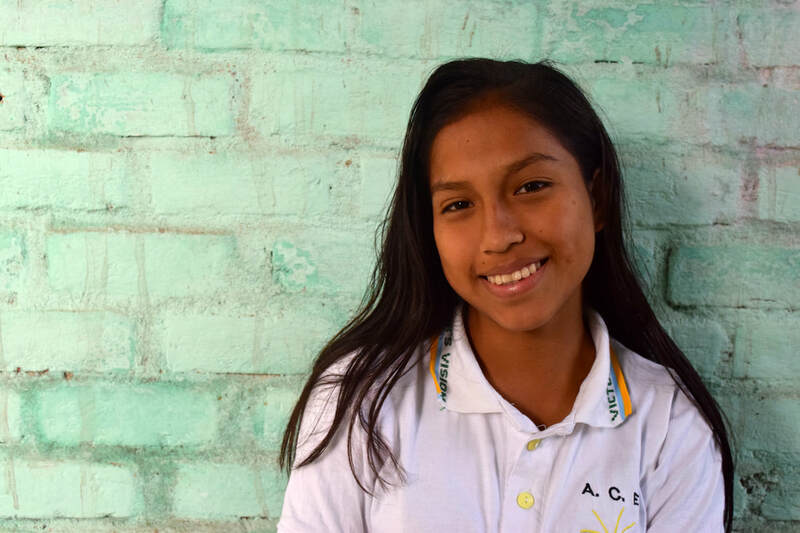 Lesly Mishel joined Victor's Vision in 2016 when she was 13-years-old, and after three years in the program, graduated high school in 2019. She lives with her mom, dad, two younger brothers and baby sister. Her father is a salesman and her mother takes care of the home. Her favorite class at Victor's Vision is English because she enjoys practicing English with the volunteers that come to the program. Mishel expressed, "It’s stressful being the oldest because I have to take care of my siblings. I have to help with their homework and make sure they’re doing well in school. My mom finished 8th grade and my dad finished 10th grade. I want to go university to study physical therapy and rehabilitation, because there are lots of children that are born with disabilities and can’t do things like walk. I want to be able to help them and rehabilitate them. ​I think Victor's Vision is a good program because it helps me stay focused. At my age it’s easy to go to school and then hang out on the streets. But this reminds me to stay focused and use my time to learn." After graduating from Victor's Vision and high school in December 2018, Mishel successfully gained admission into university upon her first application in March 2019. She studies physiotherapy at La Universidad Católica in Chulucanas.